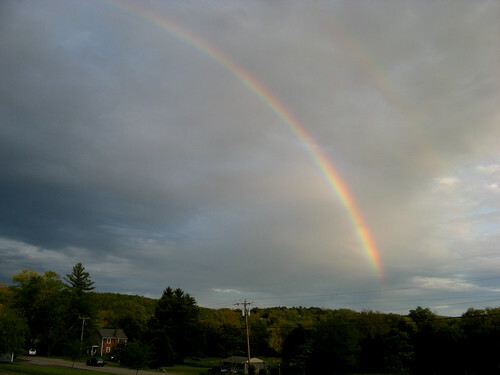 doublerainbow, originally uploaded by jahansell. Driving home from Millerton, around 7:30 pm - this was one of the most intense rainbows I've ever seen. And it wasn't even raining! Oooo, thanks for sharing your lucky find with us. Two pots of gold today.